“Microservice” is the hype word of the day, but if you're convinced there's value in breaking down large systems into small services, this workshop may be just what you're looking for. Lagom is the latest framework brought to you by LightBend (formerly Typesafe), and it's designed to simplify the development and deployment of microservices over the JVM. It helps us developers in three areas: writing, distributing and deploying services. In this workshop, you will create three services that collaborate to produce a meaningful result to our hypothetical users. Exercises will be done in Java, and we will have a peek into the underlying components of Lagom, such as Akka and Cassandra. Alejandro is a Senior Software Developer and Trainer, specializing in the LightBend technologies. He's taught Scala, Akka and Play to hundreds of people - and has a blast doing it, too! When not teaching, he's usually involved in mentoring teams adopt the LightBend stack, and helping them grow their skills. 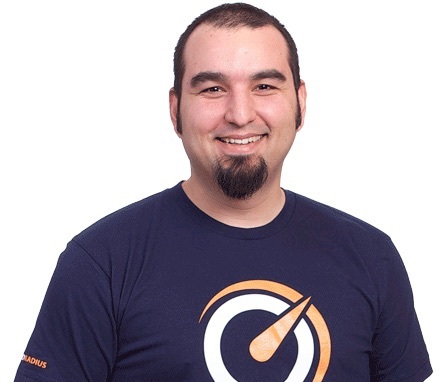 Alejandro is also the co-organizer of Scala Up North, and is the co-founder of The HumanIT Project, a non-profit aimed at creating strong collaboration between expert technical firms and mission-based non-profit organizations.